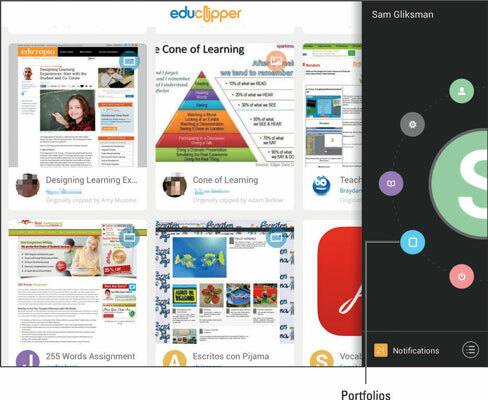 eduClipper is far more than an iPad app for maintaining classroom portfolios. It’s a learning community where users “clip” content and save it to their accounts — whether it’s content they have created themselves or content they find on the web. 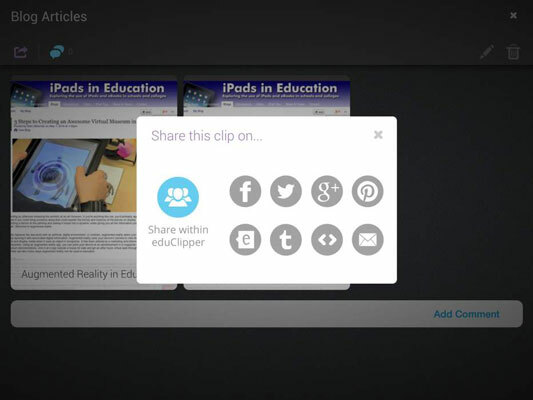 Clips are organized in boards that can be used for personal archiving and reference or shared with other users such as teachers, peers, learning groups, and more. Think of it as a super-charged scrapbook where you add all forms of digital content that you share with anyone you please. And it works as both an iPad app as well as through eduClipper on any device with a web browser. Create an account at Educlipper.net or through the eduClipper iPad app. Accounts are categorized by teacher and student. Sign into the app and tap the logo in the top-right corner of the screen to reveal the graphical menu of options. Tap the Add Portfolio button and create as many portfolio boards as necessary. Enter a title and description for each. Think of them as storage folders. As mentioned earlier, make sure to weigh how you want to classify and organize your content before creating your boards. 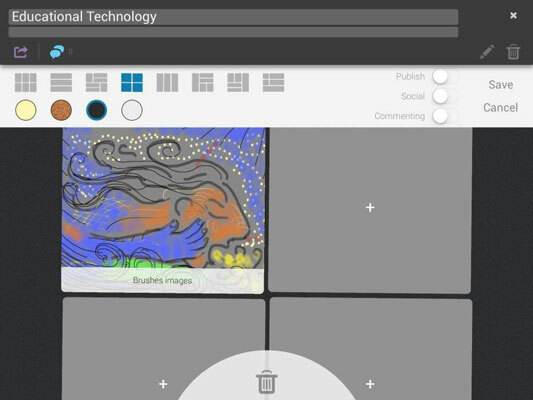 Select a background theme and layout template for your board. You can easily edit and change themes and templates later if required. Start adding clipson the Add Content screen. 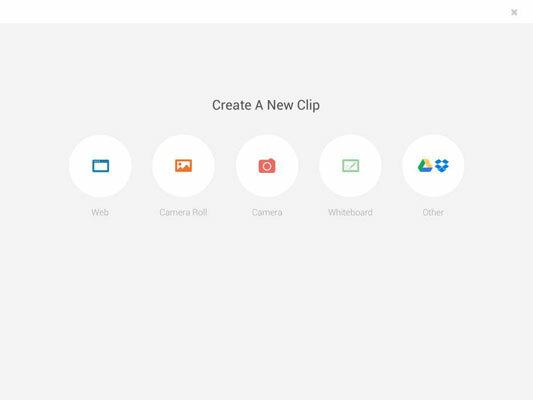 Use the Add a New Clip option to create a new clip from your Camera Roll, a whiteboard recording, files from your Google Drive or Dropbox account, or content you clip from a website. You can also choose to add any of the clips you may have already created. When you’re done, tap the Add to Portfolio option and the app returns you to the Portfolio screen. Tap the Pencil icon on the Portfolio screen to edit the board and add clips. Tap any clip to edit the contents or add comments to it. Share your portfolio by tapping to select it and then tapping the curved Share icon on the top left. What use is it collecting and organizing all those clips if you don’t share them with anyone? Share your Portfolio with other users via an emailed link or through social networking platforms. You can also grab the embeded code to add it to a blog or website.